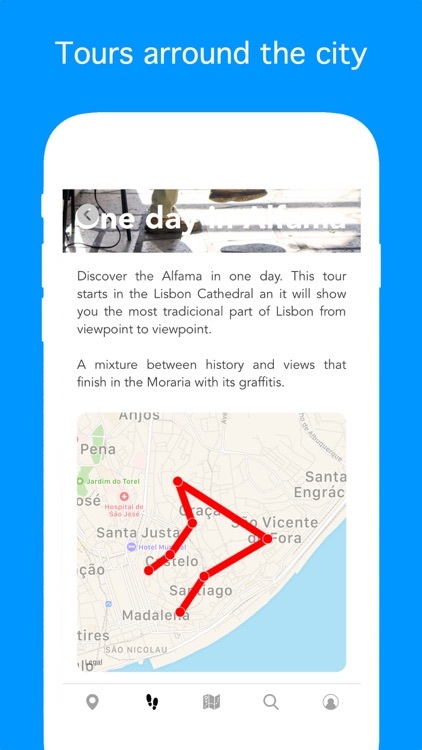 Looking for the perfect, out-of-the-ordinary travel guide to accompany you on your trip to Lisbon? Look no more! 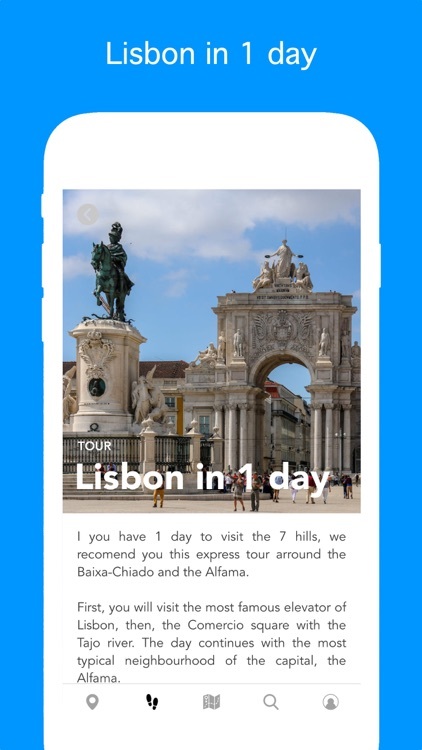 Stop, take your time Lisbon is your ultimate city guide to Lisbon, an original and remarkable travel advisor that helps you find the truly best places to visit in Lisbon and exciting things to do in Lisbon! 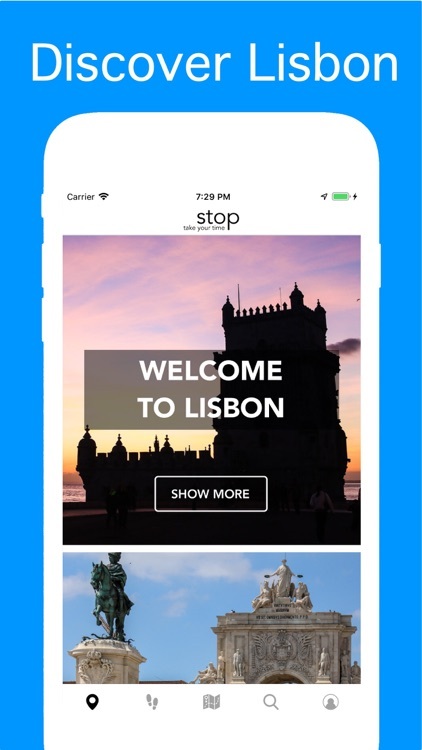 Stop, take your time Lisbon is a travel guide app that helps you discover all must- see Lisbon attractions for any traveller. 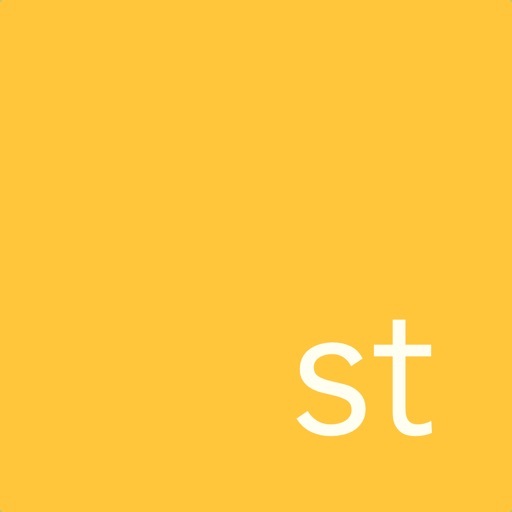 Easily find places and read the accurate history of each spot, explain as a tale, known only to locals. 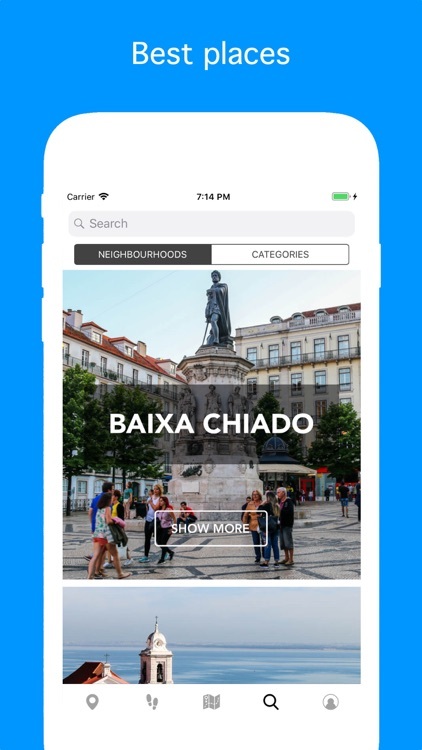 Put together by residents of the city, with this city guide you won’t miss any of the places to visit in Lisbon and will also be able to discover a number of hidden treasures along the way. 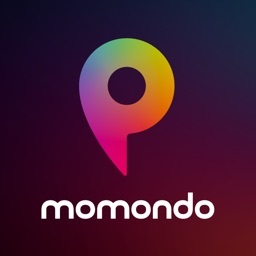 The routes in this travel guide do all the thinking and planning for you! All you need to do is slip on appropriate footwear and take in all that the streets of Lisbon have to offer. 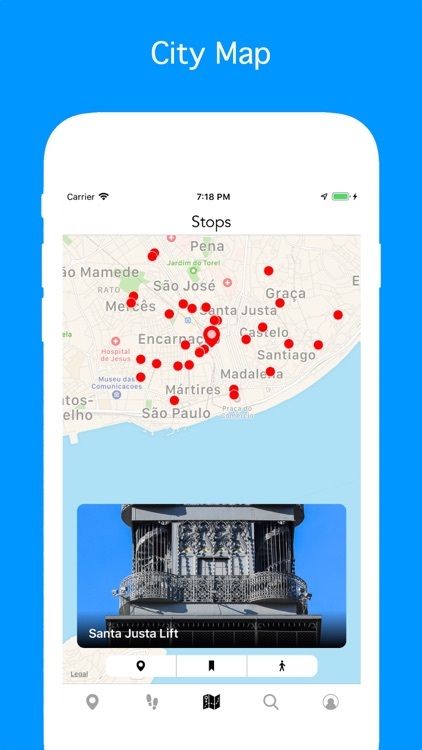 The Stops suggested will take you round parks, buildings and monuments, as well as recommended places to visit in Lisbon for you to enjoy some down time and try some local food. 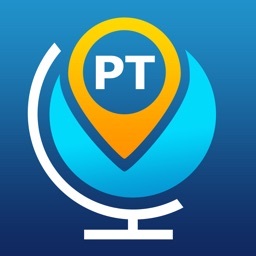 You can ‘Favorite’ places that you really don’t want to miss, and then mark them off as you go, creating your own personalized route in the process. And of course, our map will help you find your way around and get you to wherever you want to go. Do you know the best viewpoints of Lisbon? 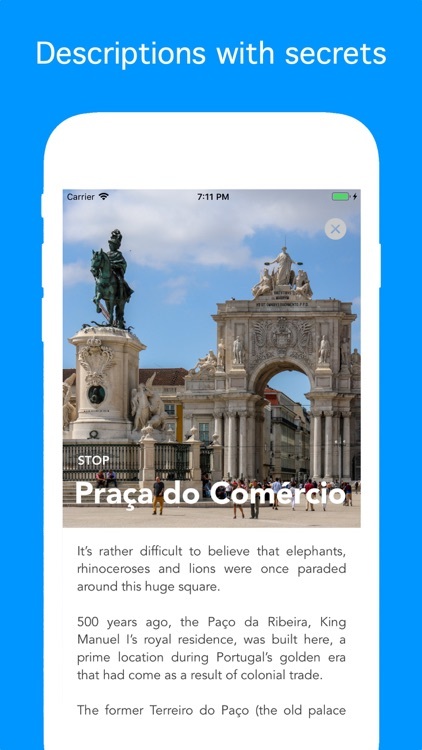 Do you know where the rhino of Belem is? What are Lisbon’s most typical culinary delicacies? And, more importantly, where do locals eat them? 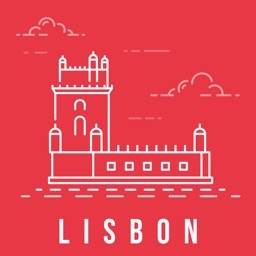 How to find fun things to do in Lisbon? 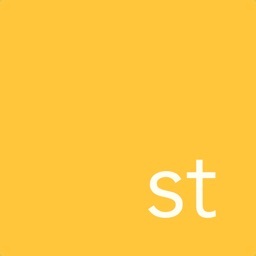 The answers to these questions and much more are right at your fingertips, anywhere and anytime. We’re writers, photographers and engineers. But we’re travellers first and foremost. 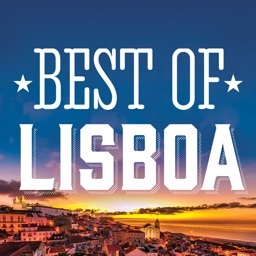 Place your trust in us and download the best Lisbon travel guide for free! Get to know this magical city from the palm of your hand - we’d like to show you around the city like we do our closest friends! 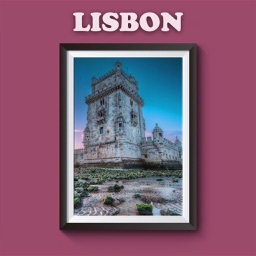 Download Lisbon - Travel Guide for FREE and visit the best places of Lisbon!